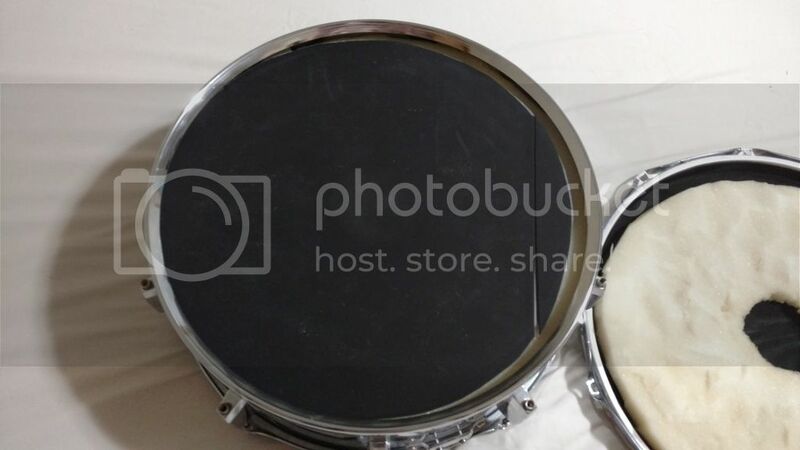 Hey all, a few years back, I made a DIY snare out of a cheap used 14" snare. 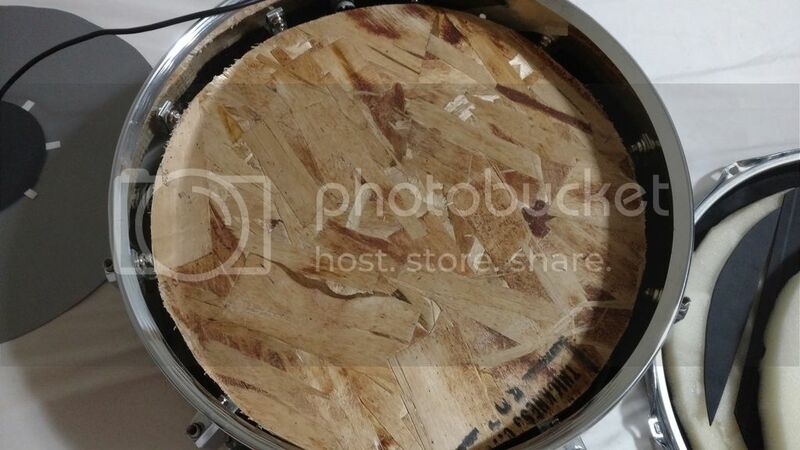 I attached a piece of wood the same diameter as the ID to the shell with angle brackets, slapped a piezo in it, cut out foam layers and a sheet metal reflector plate and stuck a second piezo to it, and stacked everything just like I did with the Hellfire meshhead mods on my other pads. 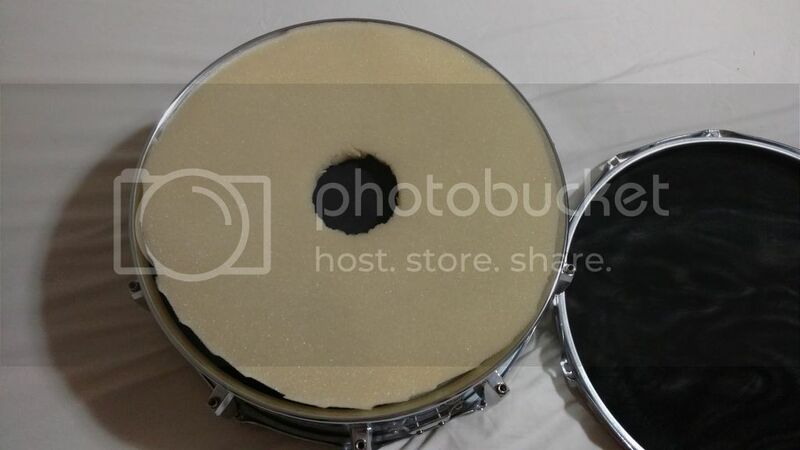 The problems I'm having is that I have major cross talk where hitting the rim triggers the head piezos at almost the same volume, I can only get the rim piezo to fire if I hit where the angle brackets are attached, and the drum head just feels dead, there's virtually no bounce back. 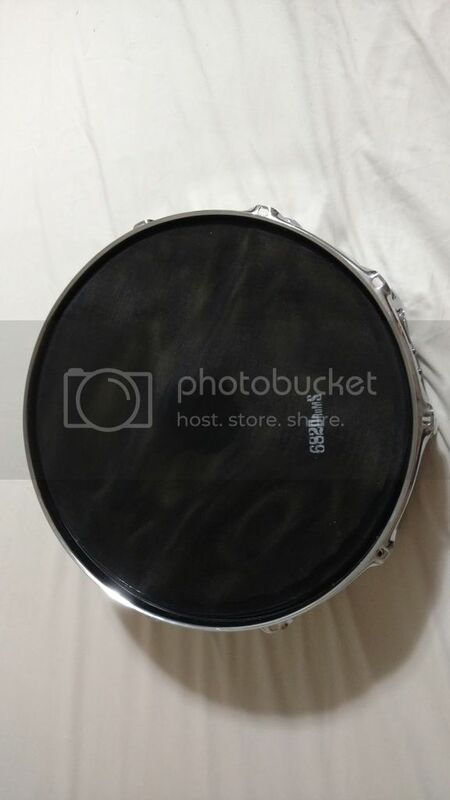 Any recommendations on a better way to configure the snare? I currently have a DM10 module, but may be selling it off to help fund a strike module. Ok, so here are pictures of it's construction. soft foam directly under the head. 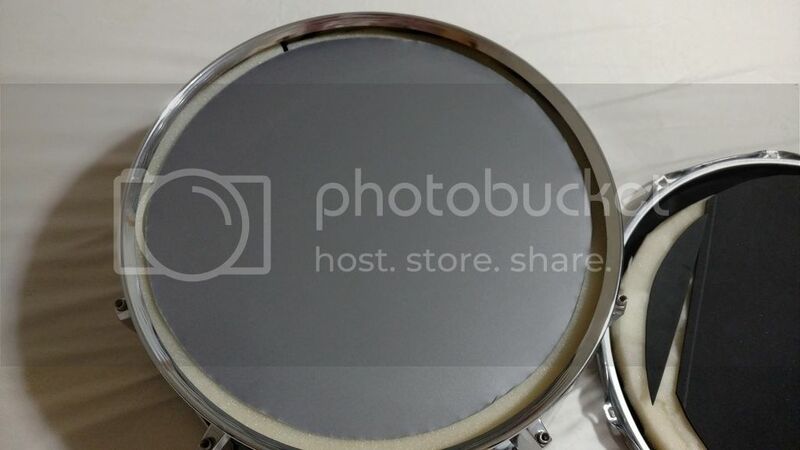 Top side of the reflector plate. Bottom side of the reflector plate. Foam ring the reflector plate sits on. 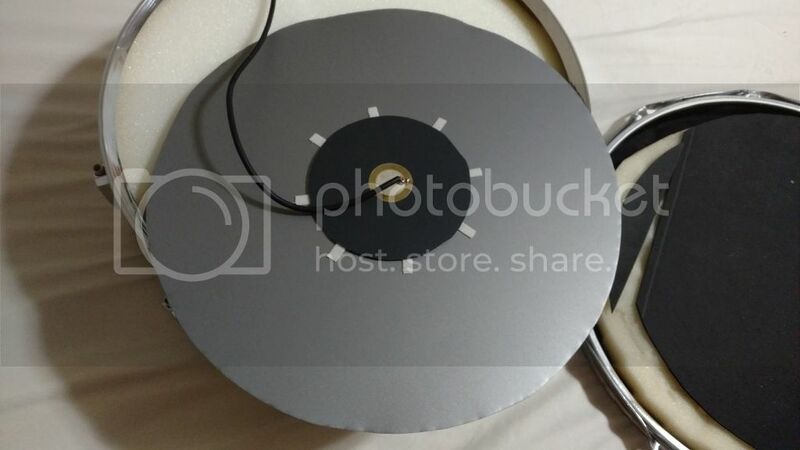 The rim trigger, it's attached with double stick tape, the tape over the top of it is just for extra measure. The underside of the false bottom. I have both piezos wired to audio taper pots, but may just take them out entirely, I don't believe they are the cause of the poor triggering. Also, none of the pot leads are touching even though it looks like it in the picture. 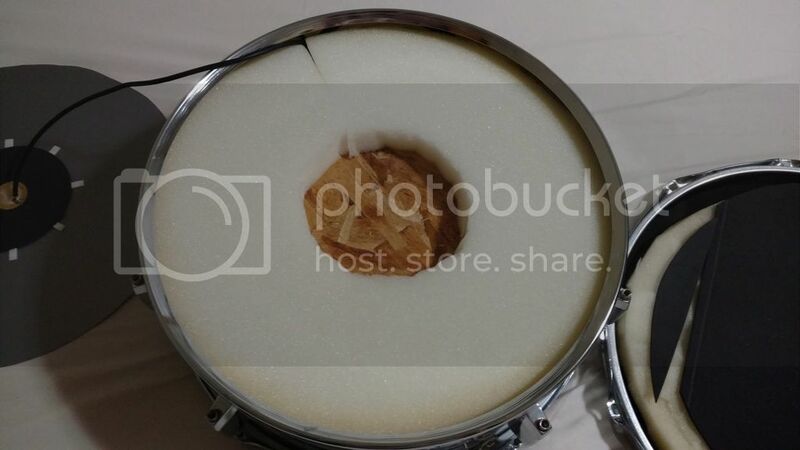 If you don’t want , at least place some rubber material on the bottom of the base because the vibrations of the shell go to the base . About low sensitivity of the head. The reflector must have high mass to be vibrated easily. 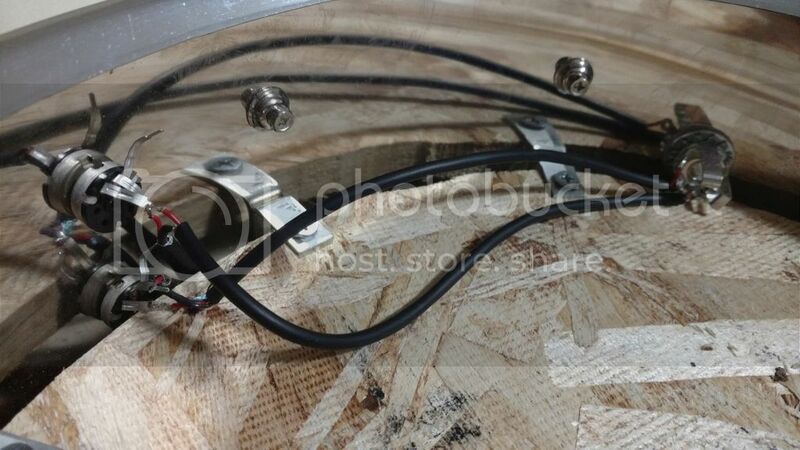 Also glue the piezo straight to reflector plate. Remove the craft foam. It depends if you hit the reflector on strong strikes . If you don’t then remove it. Tip: The sensitivity of a piezo must never go beyond 40-50 .It certainly means there is something ‘wrong’ with the design and leads to crosstalk,retrigger , low dynamic range issues. Yikes, that sounds like a pretty big overhaul. 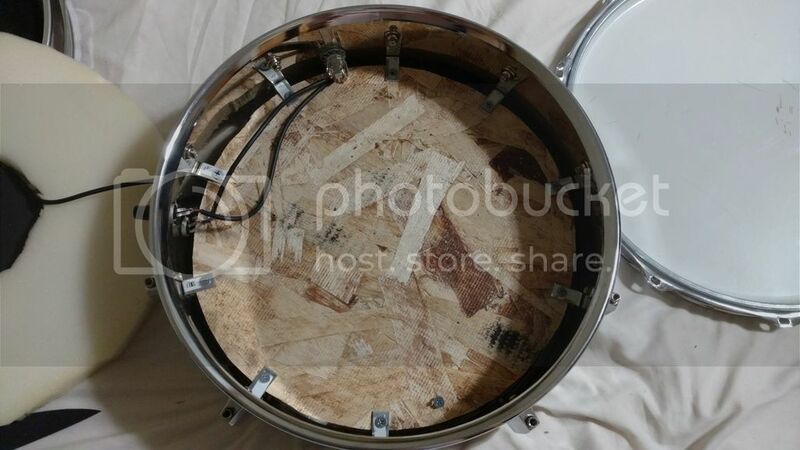 Is there a better way to convert an acoustic snare to an electric? I didn't use the cone method because my understanding was there is an inherent hotspot with it. I ordered a trigger cone off ebay last night. I'm going to make a riser out of wood and soft foam and attach it close to the edge on the wood bottom plate. 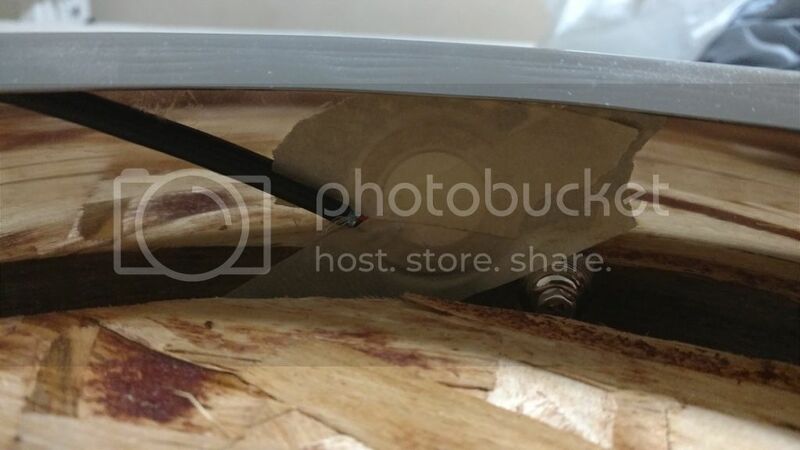 I'm also going to try attaching the rim piezo to a small piece of flat sheet metal, then bolt that to the rim. Hopefully that makes it trigger decently.